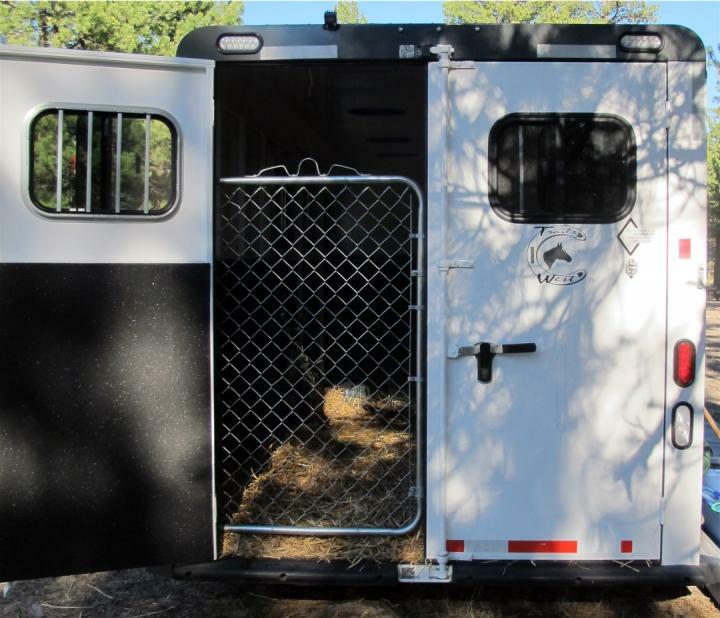 I'm selling my "goat hauler palace." I just posted it on Craigslist. It's a fantastic trailer for both goats and people. Located in Kennewick, WA. I've removed the two gates I'd added to customize it. I added a 10' gate inside by attaching it to the first stall's pins. That allowed me to haul gear, hay, camping supplies, etc. in the front while the goats rode in the back. Here's a photo of the gate that allowed me to leave one of the back doors open while the goats were inside. I installed it so when not in use it just folded back against the door and clipped in place. Downsizing for the goats - yes. I'm now hauling them in a truck canopy. I bought a smallish travel trailer. With 4 grandchildren it's time to start taking them on adventures. A few days after I bought it I parked it at my youngest son's for the night. He has a a boy and girl. He set up his portable fire pit because there was a burn ban so we couldn't have a campfire. It was a hoot. 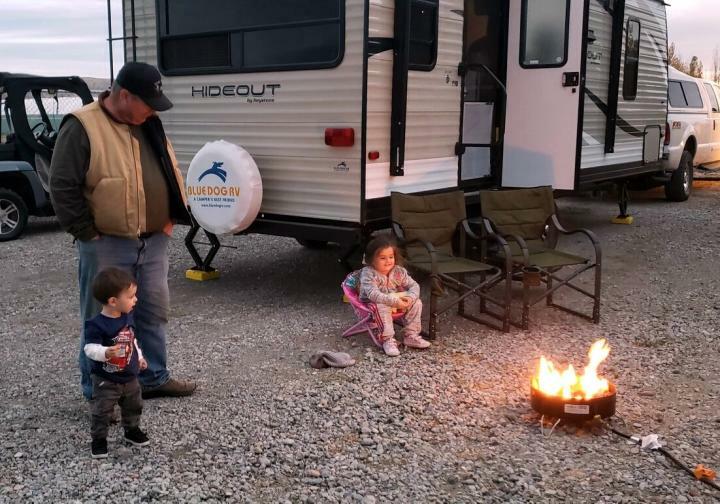 Here's a photo of the kids and my husband enjoying the campfire. I plan to have more adventures with these 2 and my other son's twin 18 month boys this summer. (01-26-2019, 04:35 PM)Taffy Wrote: I'm selling my "goat hauler palace." I just posted it on Craigslist. It's a fantastic trailer for both goats and people. Located in Kennewick, WA.